Check out some of the best places to go to on your holiday to Spain! 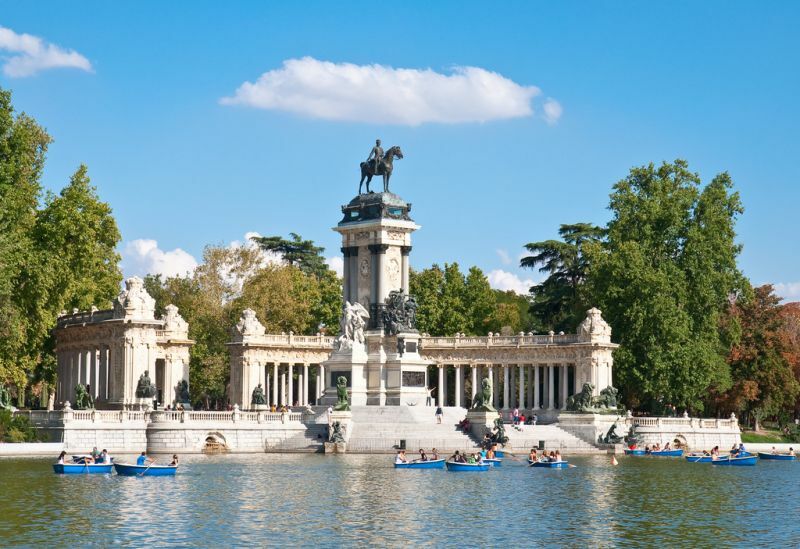 Located in the heart of Madrid, its origins date from the reign of Philip IV, when the Buen Retiro Palace was built by the Count-Duke of Olivares. The Astronomical Observatory and the Buen Retiro Royal Porcelain Factory were added during the reign of Charles III. During the reign of Ferdinand VII, the pier on the pond and the Casa de Fieras zoo was built. Among the most prominent spots, the park includes the great pond with the monument to Alfonso XII, the Casa de Velázquez and the Crystal Palace, the Rosaleda rose garden and the Parterre, boasting one of the oldest trees in Madrid, a Taxodium mucronatum. In 1935, it was declared a Garden of Historic-Artistic value. This unique space on the slopes of Montjuïc was created on the occasion of the Universal Exhibition of 1929, and combines art, recreation and culture. Located within the city of Barcelona, the site could be called a summary in monuments of the different towns and villages of Spain. Laid out like an urban collage, its 49,000 square metres of pedestrian areas contain representative examples of the popular architecture of Spain. There are 117 scale reproductions of buildings which form a model of the ideal Spanish town, featuring the main characteristics of each region. A stroll around its streets and squares is like taking a trip around all the different regions of Spain. And what’s more, its numerous bars and restaurants offer a chance to discover the typical Spanish gastronomy. However, this attraction has a lot more surprises in store for visitors, as it is also an active leisure, culture and crafts centre. It is home to the most important collection of craft workshops on the península. Not only can you buy crafts items, you can also learn how to make them yourself in the courses and family-oriented activities on offer at weekends. 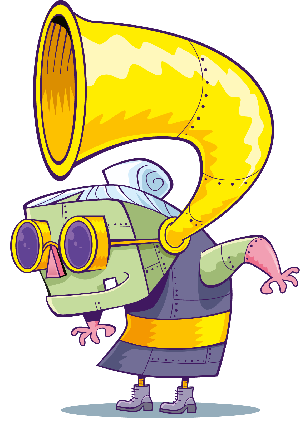 The leisure options include a variety of other entertainments such as storytellers, street performers, puppets and concerts. The open-air Sculpture Garden and the collection of modern art in the Fran Daurel Foundation are among the other interesting activities available at the Pueblo Español Spanish Town. 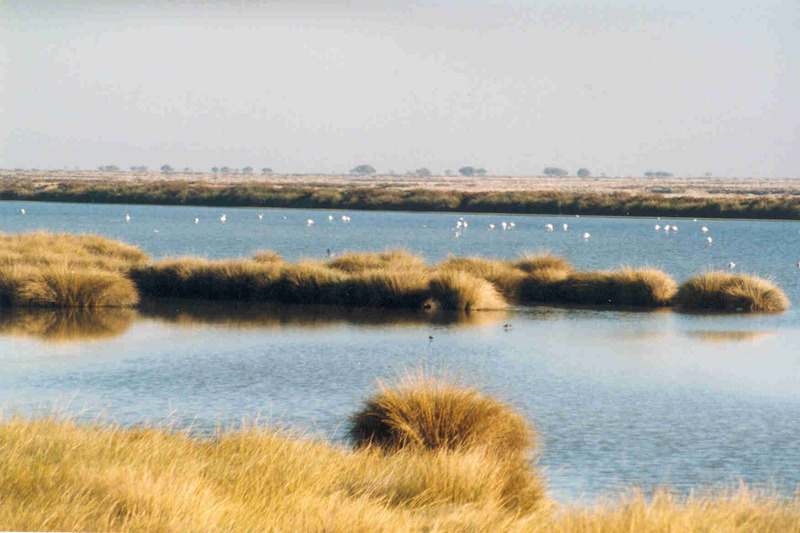 Doñana was declared a UNESCO Biosphere Reserve in 1980. The Park is characterised by its flatness. A transition can be seen from the gently sloping landscapes of the stabilised sand dunes, known as “cotos”, to the marsh, which is the most interesting area, as it is a refuge for numerous migratory birds. The fauna to be found in Doñana includes a wide variety of species, of which the most significant are the birds, but also the Iberian lynx (Lynx pardina), a carnivore indigenous to the Iberian Peninsula and which has become the park’s emblem. The park is situated in the region of Andalusia in southern Spain, between the provinces of Huelva and Seville. The relationship between man and nature that Doñana has forged throughout history is one of the most interesting features to discover here. 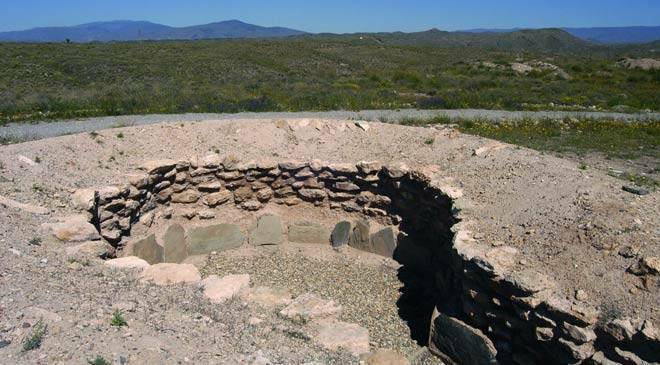 You will find beacons that protected the area against the attacks of Berber pirates, and huts made with plants. he famous pilgrimage to El Rocío also takes place in the area every August. The park stands out because of its marked seasons, mainly in the marsh. 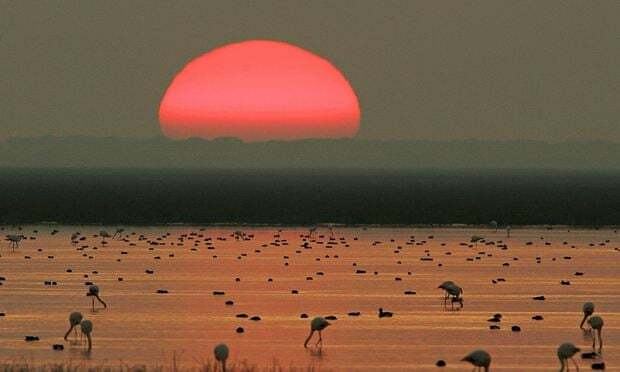 It floods in autumn; in winter it looks like a shallow lake; in spring the water surface gets covered in flora; and in summer, it is a desert of broken and dusty clay. The marsh is also extremely important because thousands of birds nest and stop over on their migration routes. This natural place situated in Cuenca, in a canyon that is almost 1,500 metres above sea level, is characterised by its curious rocky formations, sculpted over the centuries by ice, wind and water. All this has modelled stone figures that look like humans, object and animals that spark visitors’ imagination. It is currently situated within the limits of the Serranía de Cuenca Nature Reserve, only 28 kilometres from the city of Cuenca. The route around Ciudad Encantada is way-marked and many of the rocky formations have signs with the names of the figures they resemble.Visitors will soon recognise these: Boats, the Dog, the Sea of Stone, Roman Bridge, the Seal, the Bears, the Slide, the Lovers of Teruel, the Mushrooms, the Convent, the Turtle, etc. The reason behind the existence of all these fanciful shapes is the different hardness and composition of the rocks. At the top there is magnesian limestone, grey and more resistant to erosion than the one below, which has a reddish tone. The lower part erodes faster than the upper part, creating shelters and cornices. The area around Ciudad Encantada is also magical. The vegetation includes gall oaks, savin, juniper, box trees, bramble, etc. Flocks of sheep graze in the surrounding area and there is a distinct scent of rosemary and thyme. Come and explore Cuenca, whose historic centre has the UNESCO World Heritage designation. Its buildings blend in perfectly with stunning natural landscapes. This fusion of art and nature give this city in the Castile-La Mancha region, in inland Spain, a special atmosphere. 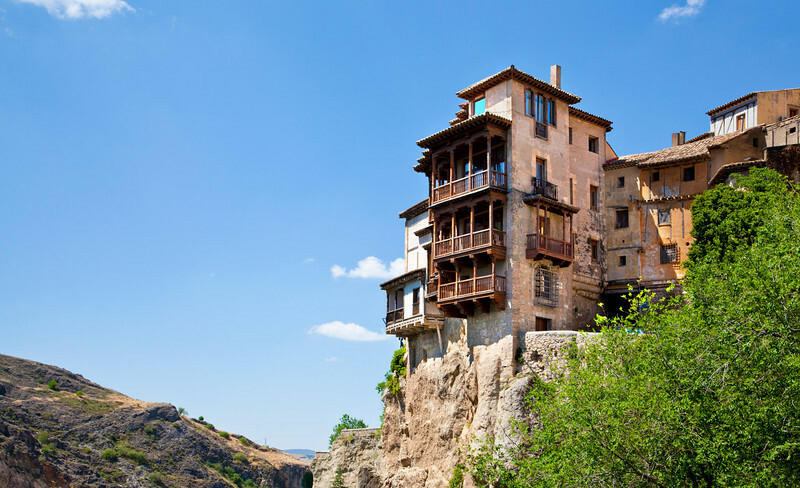 Cuenca is 170 kilometres from Madrid, in the Castile-La Mancha region. 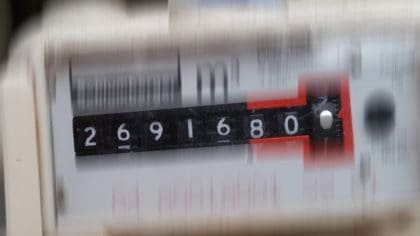 The first thing you will notice is the cultural heritage of a city that maintains intact its appearance of a medieval fortress, with its palaces, stately houses, towers, churches, convents, streets, squares and walkways. Its historic centre is packed with civil and religious buildings of different artistic styles, the majority constructed between the 12th and 18th centuries. Before strolling through the centre of Cuenca, we would recommend that you take a look from a distance: seeing how the city “hangs” from the rock is spectacular. From the San Pablo Convent, now home to a Parador Hotel, you will be able to enjoy this view, with the San Pablo Bridge suspended over the Huécar Canyon, along with the façades of the Hanging Houses, the city’s most emblematic structures, defying the gorge below. These buildings are excellent examples of traditional architecture. They are currently home to the Spanish Museum of Abstract Art, not to be missed, given that it has one of Europe’s best collections in the genre. Cuenca is even more stunning on weekend nights, when the area of monuments is fully illuminated. Try and stay the night in the city if you can. It is well worthwhile. The following await you in its streets: the Cathedral (12th-13th centuries), the first example of Gothic architecture in Spain. Its façade is the only one in the country in Anglo-Norman style; the area surrounding Plaza Mayor Square, with emblematic buildings such as the Town Hall; networks of narrow streets, hills, staircases, underground passes and stone walls that lead to places such as Nuestra Señora de las Angustias Shrine and San Miguel Church, from where you can enjoy stunning views of the area. The best thing is to head to the Tourist Office, where they will help you to plan your stay. In the area surrounding Cuenca and the rest of the province there are many interesting routes and excursions where the countryside plays the lead. Don’t miss the Enchanted City. It is 36 kilometres from Cuenca and is an area of weird rock formations that look like animals and objects. Get ready to live an unforgettable journey in this fascinating land. Imagine an original cultural visit. Imagine a place where you can see archaeological remains from the beginning of the Middle Ages, the Roman Empire and the Bronze Age. Sound interesting? Then don’t think twice and come to the Castile-La Mancha Region. Its five archaeological parks will take you on a fascinating journey into the past. Come and feel the centuries of history pass before your eyes. Come and take a trip in the Region of Castile-La Mancha, south of Madrid. Here you will find five, well signed archaeological parks located at different points around the Region. This is a great way to discover the beautiful landscapes to be found in the area, and to learn about the societies that have left their mark here over the ages. You can start your route in the province of Toledo, in the Carranque region. Its Archaeological Park is set on both sides of the Guadarrama River. 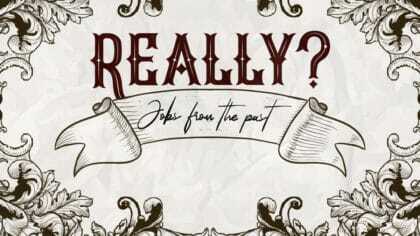 Let your imagination run free and see what day-to-day life was like in the Roman Empire. Thanks to the site’s excellent conservation, you can see the splendour of buildings such as the “Ninfeo” temple, its ensemble of mills or the “Villa de Materno”, a mansion with a spectacular collection of mosaics. 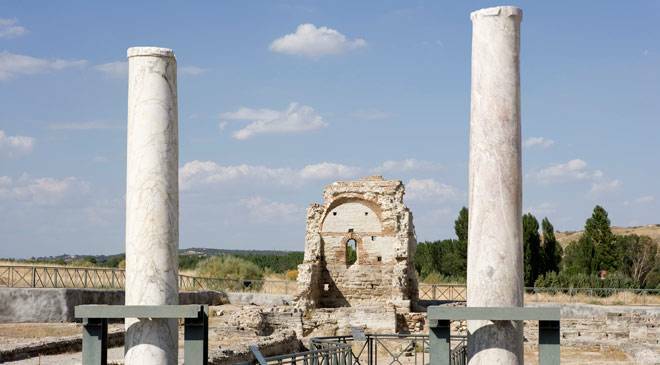 There is also the “Basilica” with its stunning marble columns, luxurious homes with heating and running water. Would you like to travel back to the Middle Ages? 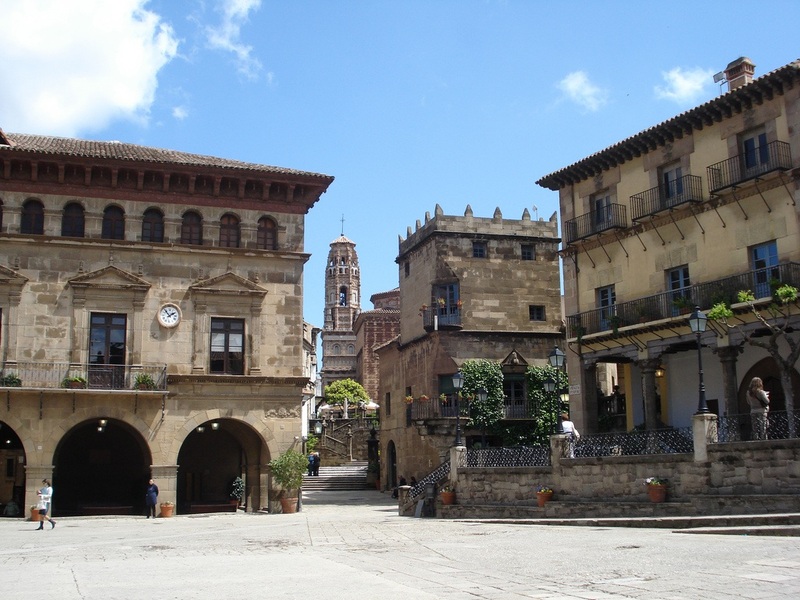 Then continue your journey in the province of Guadalajara, to Zorita de los Canes, 130 kilometres from Carranque. 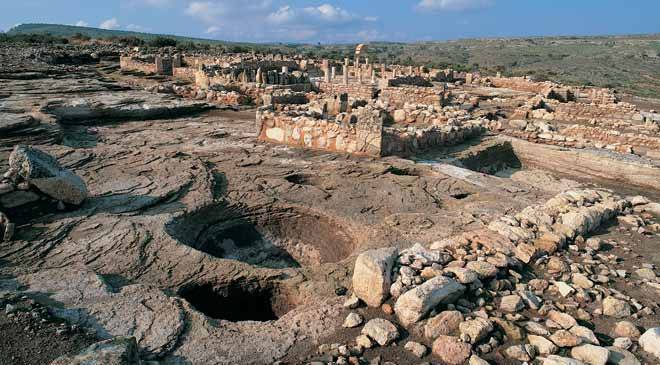 An exceptional town awaits you at this archaeological site. Take an enjoyable stroll to discover Zorita de los Canes Castle, the aqueduct and the quarry, once used by the Visigoths, amongst other peoples. 60 kilometres from Zorita de los Canes, in Saélices (Cuenca province) you can find one of the Europe’s most significant archaeological sites. Get ready to travel centuries back in time because it dates to the Iron Age. The most amazing thing, however, are its Roman ruins. 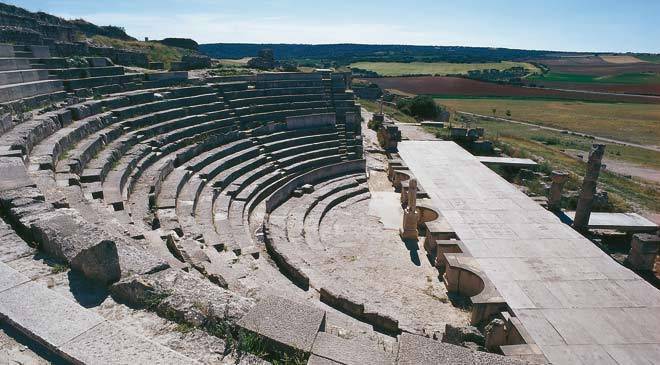 Would you like to stroll around a theatre and amphitheatre from the time of Augustus or some 1st-century thermal baths? This is the perfect place to travel back to the times of emperors. Here you will find the peak that is home to the park. It will show you the mark of bygone ages on a fascinating adventure. This was the setting for settlements from the Bronze Age through to the 10th century, along with defensive walls and systems. Also well worth seeing are the Roman and Moorish burial sites and the remains of its three-nave Visigoth basilica. The whole face of the Huécar Gorge was once lined with hanging houses. Today only three remain, and these were thoroughly restored at the beginning of the 20th century. They are in the traditional Gothic style, and some original elements can still be seen in the part that houses the Museum of Spanish Abstract Art. There is a wealth of wooden details on the interior. The exterior entranceway is in the Renaissance style and was originally part of an old palace in Villarejo de la Peñuela. The house on the left hand side (the restaurant kitchen) is known as the Casa de la Sirena (house of the mermaid).